"OMG! Everyone had the same comment: BEST cupcake they ever had!! I think I took one ladylike bite, hit the chocolate center, and just shoved the rest in. Spent the next five minutes licking my fingers thoroughly. Wow!!! They were amazing!!!" "There were only 4 cupcakes left at the end of the day! The new dad to be even got to try one. Said it was the best cupcake he ever had! Thanks again!" "It can be hard to find cupcakes that are REALLY as good as they look (you know what I mean...they are pretty, but dry or bland), but these, here comes the pun, take the cake. Addictive, and lovely!" "I would list my favorite flavors but every time I have a new one I have a new favorite!" "If you want to have a taste of pure excellence and joy, these treats are your only stop that you'll have to make. She provided cookies for my wedding with high reviews and NO left overs. They went perfect with my Ice cream bar too! Speedy delivery and with no complaints I give a five star rating!!" "Truthfully, the most visually appealing and delicious cupcakes I've ever had. Worth every penny!!! I think you are going to be a grand success!!!!" "Truly the best baked goods I've ever tasted. They're like heaven, but way better." "Best cupcakes I've ever had the pleasure to eat! I can't say enough great things....yummo!" "I've never had a cupcake or cookie from Cupsie Daisy that I didn't love, and I've had many, but the ho-ho cupcakes are definitely my fave. Delish! Always the highest quality product and professional service." 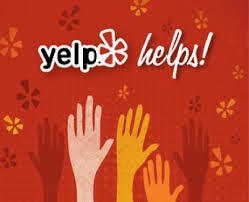 Please check me out on Yelp! "I wanted to give my son a taste of the French Galette des Rois, a pie I used to eat as a kid for the Epiphany, and Cupsie Daisy was kind enough to not only take the order but also do a phenomenal job! I already go to Kim for vegan cupcakes, and now I know that I can rely on her for amazing baked goods as well! Thank you so much!" 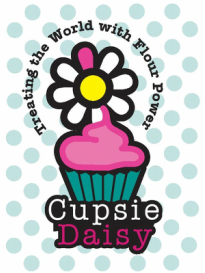 "I called Cupsie Daisy in a panic because my usual baker friend had a sick child and had to let me down at the last minute the day before my party. I had never done business with Cupsie Daisy but she got back to me within minutes and assured me that she would take care of us. She delivered the cupcakes I selected to my house the next day and everyone said they were delicious. I got a batch of the vegan cookies and cream and would definitely get them again. The whole thing was very easy (and I can be a difficult person :) I can't wait to try a batch of another flavor!"